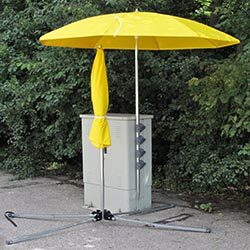 Creative Tent Solutions, Inc. in Delavan, WI has been manufacturing Pop’N’Work tents and umbrellas in the USA for over 35 years. We’re proud to provide quality products for people who rely on them to get their work done in all kinds of conditions. We are always looking for ways to improve what we offer. Over the years we have worked with our customers to come up with new and better designs to meet their needs. 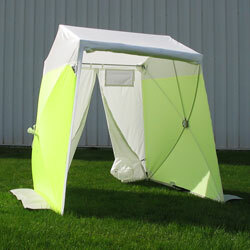 In fact, some of our best designs have come from the requests of customers. Explore our website to learn more about our products, or contact us anytime to learn more about finding the right product for your application. 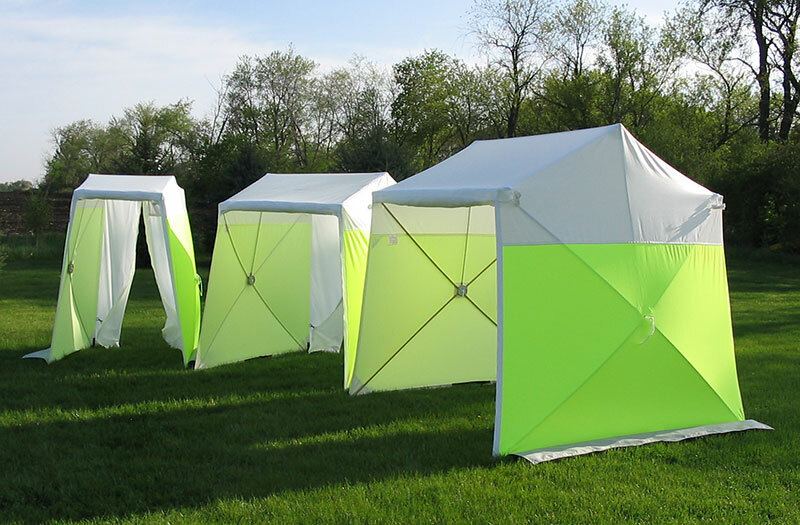 Standard and custom tents that setup fast and stand up to the weather. 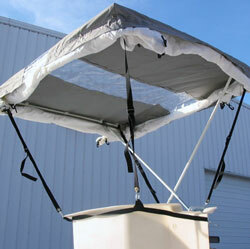 Aerial bucket tents and aerial strand tents provide safe, efficient weather protection. Unique design for many different work sites, including work adjacent to walls. 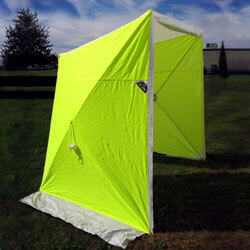 Steel or fiberglass frame with tough yellow vinyl cover. Multiple sizes available.